Closed for visitors until September. With Wrocław developing rapidly in the late 19th century it was determined that the city required an exhibition hall and the hundred year anniversary of Napoleon’s defeat at the Battle of Leipzig (1813) was deemed a timely occasion for an expensive, over-the-top exhibition hall that would figuratively flex the architectural muscle of the German Nation. Max Berg, who had been appointed as official city architect in 1909, quickly set about designing his career-piece, and (what-do-ya-know?) 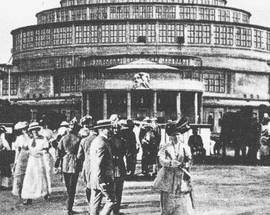 his proposal was chosen over 42 others by city council despite abject objection from almost everyone who laid eyes on the design, which resembled a colossal concrete hatbox and would cost an enormous 1.9 million Reichsmarks. 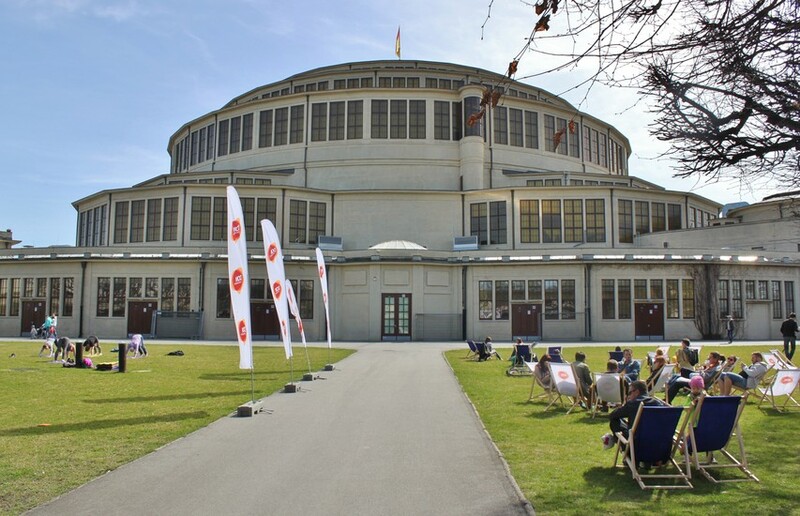 Teaming with eminent architect Hans Poelzig, the two personally oversaw the project which was completed in 1913 and has become one of the most important architectural monuments of the early 20th century. 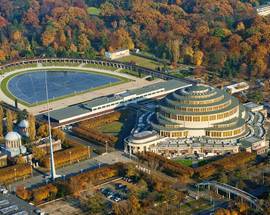 With an inner diameter of 65 metres, a height of 42 metres and a 10,000 person capacity, the Jahrhunderthalle (as it was called) became the widest structure of its type in the world; that type being a gigantic multi-purpose structure of radial reinforced concrete ribs unlike anything the world had ever seen. 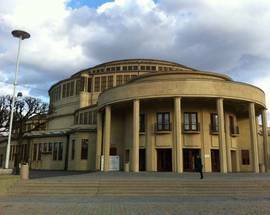 Though routinely left off lists of the world’s most attractive buildings, one thing is undeniable: the Centennial Hall is an engineering marvel. Building a structure of such size out of steel and concrete was both revolutionary and extremely daring; in fact the workers that helped build the behemoth were afraid to go inside, so certain were they of its eventual collapse. 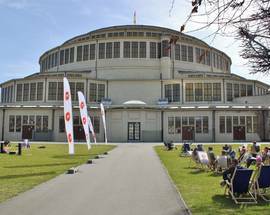 On the contrary, the Centennial Hall has inexplicably survived two world wars and has in recent years hosted large scale events including monumental operas, sporting events and large concerts. 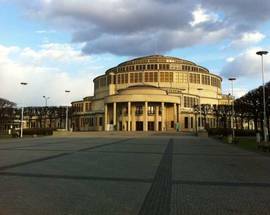 It was here that Adolf Hitler held rallies and Pope John Paul II held services during his famous visit in 1997. 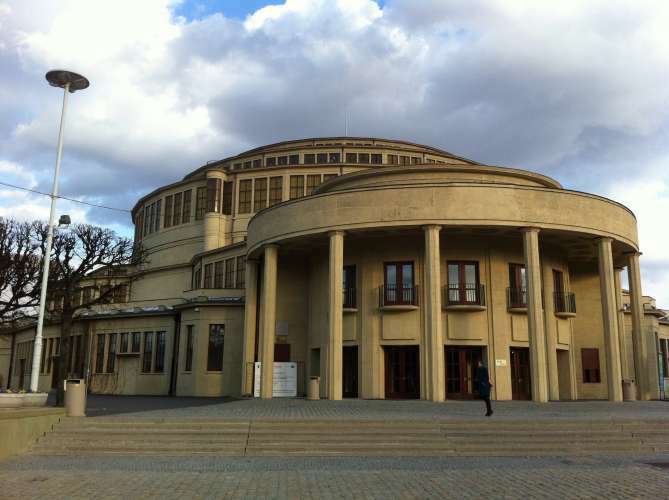 With the success of the Centennial Exhibition under its belt, the Jahrhunderthalle was to host an even more intriguing exhibition following World War II. 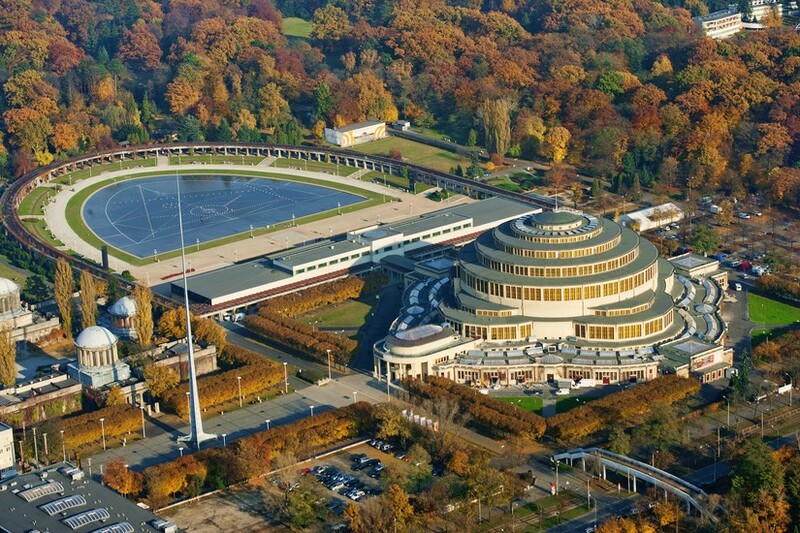 Renamed 'Hala Ludowa' (the People’s Hall), the exhibition centre became the site of the People’s Republic of Poland’s ‘Recovered Territories Exhibition’. 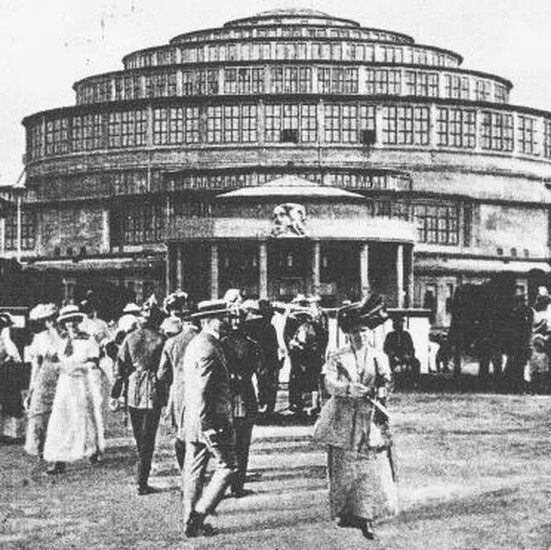 The most expensive and publicised propaganda event in the history of Poland, in the many decades following 1948’s Recovered Territories Exhibition and the coinciding International Congress of Intellectuals, the Centennial Hall complex continued to occasionally host large-scale events, but until recently hadn’t really lived up to its UNESCO-listed reputation for locals and tourists alike, with busloads of the latter often standing in front of the concrete monstrosity wondering how difficult it would be to get the pants they're wearing to qualification for the once exclusive list. However, that’s no longer the case. Following a large-scale renovation, Centennial Hall has been scrubbed clean and features an interior exhibit that not only transforms the structure from a dubious photo-op to a bona fide tourist attraction, but also does much to explain and justify its reputation as a modern architectural masterpiece. 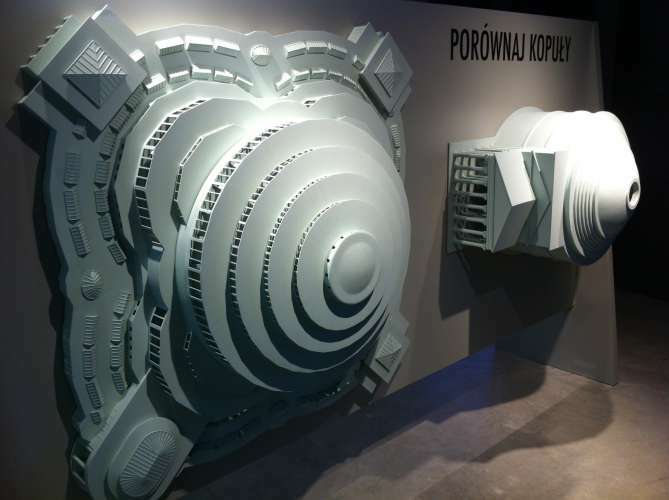 Known as the Discovery Centre (Centrum Poznawcze), this exhibition gives visitors an overview of Centennial Hall’s construction, its history and its place in the pantheon of modern architecture. 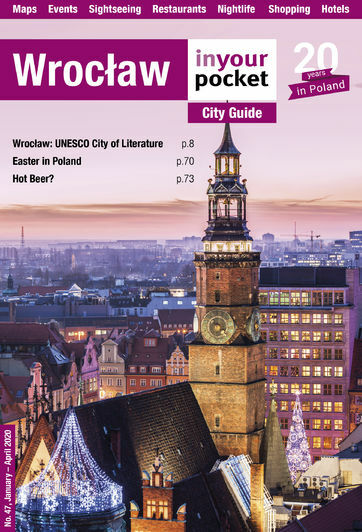 Most of the information is conveyed via nifty touch-screen displays covering topics as varied as Breslau architects, skyscrapers, various world exhibitions, Polish UNESCO sites, and a lot more related to architecture and Wrocław specifically. In addition to the permanent exhibit, Discovery Centre includes a gallery for temporary exhibitions and the option of a light and sound show under the dome. Using video-mapping technology (unfortunately down for servicing and maintenance as of spring 2018), the dome of the Hall comes to life with a stunningly complex and precise light show that emphasises the uniqueness of the structure and is creatively choreographed to original music. 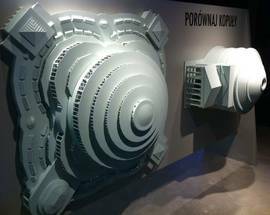 Between the light show, the computerised displays of the permanent exhibit and the adjacent Wrocław Fountain - there is some serious multimedia wizardry in this corner of town that is sure to delight architect buffs and technophiles alike. Despite its size (the permanent exhibition only covers two small rooms), there is much to learn and discover, so allot almost two hours for your visit. Closed the first Monday of every month. Admission 12/9zł, permanent exhibit plus Centennial Hall 14/11zł. Last entrance 30 minutes before closing. About the light and sound show - I think it's worth the extra z&#322;oty. It gives you access to the centre of the Hall which you might not otherwise see and the show is technologically amazing I've never seen anything like it. I loved the way the music started out very quiet and brooding before the first lights even came on. I think it would be stronger overall if it was a bit shorter and there's not much of a climax but still - it's pretty cool.